Your choice of freshly made sandwiches, cut in half, and served on a nicely decorated tray. 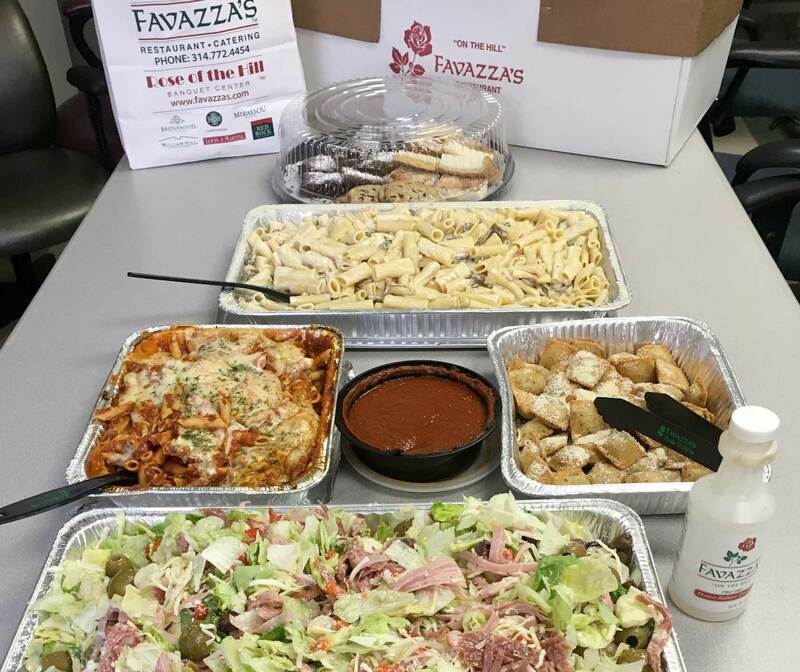 Includes Favazza’s dinner salad or veggie pasta salad, individual bags of chips or pretzels, and a mini dessert. All necessary serving and eating utensils, plates, and napkins are included.